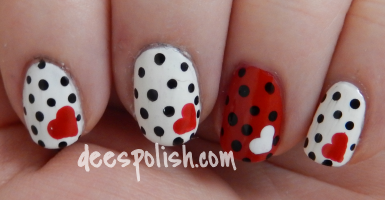 Today I bring you another option of nails to do for V-Day. I was inspired by THESE NAILS inspired by polishbychelsey who was inspired by Ms. Jade. I just love these - they are adorable. Well, obviously I would love them.. dots. Enough said! 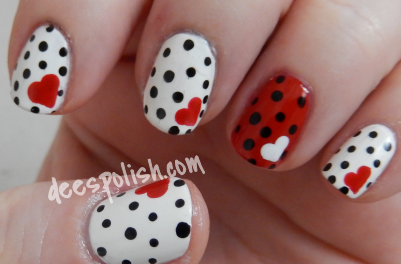 That is all for today.. tomorrow I will bring you one final V-Day look.. and it is my favourite! I cannot wait to share it with you all! !